Running a business comes with a certain amount of risk which is inevitable, but a lot risk can be mitigated by having appropriate business insurance cover. There are many types of insurance that can provide cover for your business which can be purchased as standalone products or combined products that are designed for your business, your sector or profession. Cover can include protecting your buildings and contents, liability to protect you from claims, and products that help to financially protect you from losses including the loss of key personnel or a shareholder. We have explored what the insurance market has to offer below. The table below gives a quick price comparison of the top UK providers for business insurance providers. * The facts and figures included here come from each company’s website and were accurate at the time of writing (March 2019) but may have since changed. Also, please keep in mind these may not be apples to apples comparisons as each provider offers different solutions. This guide should be used as a starting off point for more research on your part. Some of the features and benefits of Aviva’s business insurance. Aviva offers a broad range of business insurance products for small and medium-sized businesses. Their range of insurance will help protect businesses from a wide variety of risks and unexpected issues. They also offer specialist products for landlords and the self-employed. Aviva offers insurance that will help you meet legal and professional requirements such as public liability insurance, employer’s liability insurance and professional indemnity insurance. Their range of property, vehicle and equipment cover will help protect you from loses and keep your business running. Business income insurance can help protect your business against financial loss from disruption. Some of the features and benefits of AIG’s business insurance. AIG offers a wide range of insurance products that they offer as standalone products or as combined products that are packaged up for specific sectors taking into account their needs. Their standalone products include liabilities and accident and health. Liabilities include general liabilities, employer’s liability, excess liability and combined liabilities. Accident and health products include group personal accident, travel insurance, expatriate care and corporate catastrophe cover. AIG’s sector-specific products include energy, property, aerospace and marine. They also offer very specific niche products such as trade credit, kidnap and ransom, environmental impairment, political risks, surety, acquisition and mergers. Some of the features and benefits of RSA’s business insurance. RSA offers a broad range of business insurance products that cater for a variety of business types to protect them from risk and incidents. They provide standalone insurance products and sector-specific products. They also provide combined packages to cater for complete business needs. 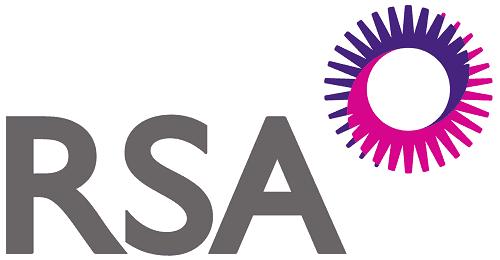 RSA’s standalone products include business interruption, motor insurance and commercial property insurance. They provide tailored products to the construction and engineering industries, marine, commercial crime insurance, property owner’s insurance and travel insurance. They offer commercial combined insurance which brings together property damage, business interruption and liability insurance to meet the broadest needs of commercial businesses. Some of the features and benefits of AXA’s business insurance. AXA provides a wide range of business insurance products that are designed to meet the needs of small to medium sized businesses, sole traders and self-employed people. They offer tailored insurance solutions to meet unique business insurance needs including products such as property, contents, van and liability insurance. AXA offers a variety of business insurance that helps businesses to mitigate and manage risk to their business. This includes protection from liability and claims, which includes public liability, employer’s liability and professional indemnity. They also offer specific products tailored to meet niche insurance needs such as landlord insurance and start-up insurance. Some of the features and benefits of Direct Line for Business’ business insurance. Direct Line for Business offers an extensive range of business insurance products that are tailored to meet the needs of specific professions. They have designed these profession specific insurance products to give those businesses detailed cover to meet their needs. You can tailor these products to increase the cover required at the level you need. Direct Line for Business covers most small business types from accountants to dog walkers with tailored products or a generic small business insurance product. They also provide insurance for start-ups, freelancers, contractors, home businesses and market traders. Each product offers a choice of liability, buildings, contents, business interruption, cyber cover, legal expenses and more. Some of the features and benefits of Zurich’s business insurance. Zurich offers a range of life and health insurance-based business products that can provide protection for businesses or act as an employee incentive. Their insurance products are people-centric and provide cover for specified individuals. Zurich’s Business Protection and Business Whole of Life products offer businesses the piece of mind that they have cover in the event of a key employee or owner dying as the policy will provide financial support to keep the business afloat. Their Relevant Life product is a tax-efficient way of offering death in service benefits to employees. Additional cover includes critical illness and multi-fracture cover. Some of the features and benefits of ACE’s business insurance. ACE is an insurance provider that offers business protection insurance to help businesses mitigate against risks and losses resulting from claims from the public or customers. They provide insurance that is tailored to meet the needs of small businesses and offer an instant quote or call back service. ACE’s products are tailored for commercial property owners, landlords, office and shops and offer a choice of cover. They also provide a range of liability insurance products including public liability, employer’s liability and product liability. They provide cover for businesses on their premises or on the move. They also specialise in providing insurance to the motor trade and to taxi drivers. Some of the features and benefits of Allianz’s business insurance. Allianz offers a wide range of business insurance products that cater for a variety of industries and business sectors. They offer two levels of insurance grouped as small business insurance and larger business insurance. Many of their insurance products are combined to offer a complete insurance package tailored to a specific group. Allianz offers a generic business insurance package and a range of tailored packages including contractors, offices, retailers, property owners and flat owners’ insurance for those who own blocks of flats. They also offer specific products for fleet, professional indemnity, directors and officers insurance, motor trade and cargo businesses. Some of the features and benefits of Ageas’ business insurance. Ageas provides a range of business insurance products that are combined insurance packages designed for either generic business use or for specific sectors or professions. Each of these products offers a range of cover that can include property, liability, business interruption, goods in transit, personal accident and legal expenses. Ageas offers sector and profession specific cover such as cleaning, distributors, manufacturers, property owners, recruitment, security, shopkeepers and tradesmen. They provide cover to protect offices, surgeries, homeworkers and fleets. They also offer personal accident insurance in the event of death or life-changing injuries to support the business or their family financially. Some of the features and benefits of QBE’s business insurance. QBE is an international insurance provider that offers a broad range of business insurance products that are designed to meet most business risks. They offer a variety of standalone and combined insurance products that cater for businesses of all sizes. They provide tailored products for SMEs and can support multinational businesses. QBE offers a range of liability insurance products including general liability, employer’s liability, Directors’ and Officers’ liability, environmental impairment liability, life science liability, marine liability, pension trustees’ liability and professional indemnity. They offer speciality products which include cyber, energy, marine, motor, contractors, financial institutions, fine art and species, kidnap and ransom. Some of the features and benefits of LV=’s business insurance. LV= offers a variety of insurance products with a selection of business-focused products that provide life protection. They offer key person cover, shareholder and partnership protection, and relevant life cover. Their key person cover provides financial protection to businesses in the event of a key insured person dying or being diagnosed as critically ill.
LV=’s shareholder and partnership protection provide business owners with the financial protection of being able to purchase another owner’s share in the event of them dying or becoming critically ill. Their relevant life cover is a tax-efficient way of offering death in service benefits to employees as an employee incentive. Some of the features and benefits of NFU Mutual’s business insurance. NFU Mutual provides a broad range of insurance products that are targeted at businesses and to some specialist business sectors. They provide specialist products to property owners and landlords, hospitality, food and drink manufacturers, wholesalers, estates and retailers. NFU Mutual’s sector-specific products and their combined commercial products offer tailored insurance packages that provide a broad range of cover designed to meet the needs of the specific professions and businesses. Their policies can include property, contents, liability insurance (public, employer’s, product, and environmental), goods in transit, group personal accident and business interruption. They also offer commercial vehicle insurance. Some of the features and benefits of Lloyds Bank’s business insurance. Lloyds Bank provides a broad range of insurance products that are designed to make business protection easier whether that is with standalone products or with their combined business insurance that is tailored to meet the needs of specific businesses. Lloyds Bank offers standalone products such as public liability and professional indemnity insurance. Their professional and business sector specific products combine some of the key insurance products that businesses need including a range of liability insurance. They provide cover for the self-employed, tradesmen, shops, salons, offices, surgeries, pubs, restaurants and cafés, working from home and fleet insurance. Some of the features and benefits of Liberty Mutual’s business insurance. Liberty Mutual is an insurance provider that offers a broad range of insurance products and risk management solutions to businesses. Their business insurance products cater for a broad range of businesses from small businesses through to large corporations working in a variety of professions and business sectors. Liberty Mutual offers a flexible range of business insurance products that cater to a broad range of business sectors. Their speciality sectors include farming, maintenance, construction, education, energy, financial services, manufacturers, healthcare, hospitality industry, printing and publishing, property, religious organisations, transportation, retailers and wholesalers. These products are tailored to meet the needs of these organisations. Some of the features and benefits of Chubb’s business insurance. Chubb is an insurance provider that offers a broad range of insurance products for businesses. They provide a variety of tailored cover designed for specific professions and industries. These specific products offer a package of cover that is tailored to meet the needs of that sector or profession. This includes a generic combined insurance product designed for commercial businesses. Chubb also offers standalone products like professional indemnity insurance and a range of liability insurance such as general, public, product, employer’s, excess, management and international liability insurance. Their sector specific insurance includes transport, energy, construction, financial services, marine, property and engineering insurance products. Some of the features and benefits of Covea’s business insurance. Covea provides a range of business insurance products that are sold through a network of brokers, although their small business insurance can be purchased online through their e-trade portal that is supported by their small business team. They provide a wide range of products that are tailored to meet the needs of specific trades and they combine different types of business cover to build the right cover for your business. Covea’s combined products incorporate key insurance products such as employer’s liability, public liability and product liability insurance. They provide specific insurance products for property owners, retailers, salons, offices, surgeries, tradesman and motor trade insurance. Some of the features and benefits of HDI’s business insurance. HDI offers a wide range of business insurance products through its broker network. These tailored solutions can be standalone insurance products as well as sector-specific insurance that combines products to provide comprehensive cover. HDI’s standalone products include accident and health insurance such as group personal accident, business and travel insurance. They also offer liability insurance including employer’s, public, product, environmental risk, directors and officers, and professional indemnity. They also offer business and property interruption insurance and cyber insurance which protects against cyber-attacks. Their sector specific insurance includes engineering and construction, life sciences, marine and motor fleet. Some of the features and benefits of Hiscox’s business insurance. Hiscox offers a wide range of business insurance products that are designed as standalone products that can be tailored to meet your business needs or you can combine products to increase your cover. They sell their insurance direct to customers. Hiscox offers professional indemnity insurance and a wide of liability insurance which includes public, self-employed, product, employer’s, directors and officers, trustee liability insurance. They provide specific cover to contractors, freelancers and sole traders as well as start-up insurance. Their range of insurance includes personal accident, business interruption, legal protection, office building insurance, contents and office equipment insurance, cyber and data insurance. Some of the features and benefits of AmTrust Europe’s business insurance. AmTrust Europe offers a wide of business insurance products that they have carefully compiled so that they can offer dedicated and tailored insurance products that meet the needs of businesses. Their products include professional indemnity and a range of liability insurance products such as employer’s, public and product. AmTrust Europe offers accident and health insurance products which include personal accident, sickness, travel and bespoke cover. They provide property insurance which includes landlord insurance catering for domestic and commercial properties. They offer affinity products which are a bespoke assembly of different covers. They also offer surety, warranty and speciality products. Some of the features and benefits of Berkshire Hathaway’s business insurance. Berkshire Hathaway is an international provider of business insurance products that are tailored to offer speciality insurance that is targeted towards certain business sectors. These sectors include manufacturing, distribution, entertainment and leisure, retail, property, energy, construction, transport, media and education. Berkshire Hathaway’s casualty products include public, products and excess liability insurance. Their executive and professional lines cover include liability insurance such as directors and officers, pension trustee, and employment practices, as well as professional indemnity and crime insurance. They also offer property insurance which includes construction insurance, and speciality products to life sciences and healthcare industries. Some of the features and benefits of Royal London’s business insurance. 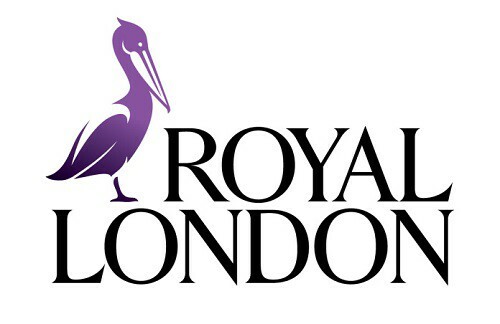 Royal London provides a range of business insurance products offering protection against the loss of a key person. They offer several types of insurance that have both the employer or the employee’s family as the beneficiary of the policy. Royal London offers key person protection to help businesses to pay the financial cost of replacing or covering for a key staff member. Their shareholder and partnership protection insurance enable one or more owners to buy a share of business from another owner in the event of their death or serious illness. They also offer life cover which pays out to the employee’s family which can be an employment benefit. Some of the features and benefits of Markel direct’s business insurance. Markel direct provides a range of business insurance products that are available direct from them online and they have a fast and simple quoting tool. Their policies have transparent pricing and interest-free direct debit. They offer a range of standalone insurance products as well as products tailored to the needs of specific professions. Markel direct’s standalone products include professional indemnity insurance, public and employer’s liability, directors and officers insurance, office insurance, personal accident insurance and cyber insurance. They provide specialist cover for businesses including consultants, IT contractors, marketing professionals, engineering and technical contractors, photographers, teachers, tutors, dance and fitness professionals. Some of the features and benefits of Travelers’ business insurance. Travelers is a business insurance provider that offers a range of business insurance products that are specialist products designed to meet specific business needs. They offer standalone insurance products as well as bespoke combined packages that can be tailored to your business requirements by combining any of their insurance products. Travelers offer business protection products that include professional indemnity insurance and liability insurance covering public, product, employer’s and management liability. It also offers personal accident insurance which helps both the employee and employer. They also offer office, property, contents, legal expenses, cyber, kidnap and ransom insurance products. Some of the features and benefits of Tokio Marine’s business insurance. Tokio Marine offers a variety of business insurance products that can be purchased as standalone products or as a combined package that is tailored to specific business sectors and industries. Their combined products are bespoke and can be further tailored to meet your business needs. Tokio Marine provides liability insurance which includes cover for public, product and professional indemnity insurance. They offer property insurance which can include fire, consequential loss, business interruption, plate glass, and theft. They also provide money, bond, cyber and fidelity guarantee insurance. Their sector specific insurance products are for offices, service industry, retailers and dining providers which covers a wide variety of professions. Some of the features and benefits of CNA Hardy’s business insurance. CNA Hardy offers a wide range of business insurance products that cater for a broad range of business types. They provide tailored packages of insurance to businesses of all sizes and exposures including international and global. CNA Hardy’s casualty insurance offers professional indemnity insurance and liability insurance which includes general, employer’s and product liability. They also offer property insurance that can be combined with liability insurance to create a complete package. They offer sector-specific solutions for industries including energy, healthcare and marine. Their speciality cover includes financial institutions, management liability and professional indemnity insurance. Some of the features and benefits of Sompo International’s business insurance. Sompo International is a business insurance provider that offers domestic and international insurance products through an extensive network of brokers. They provide their products as standalone or sector-specific insurance products. They provide cover to a broad range of industries and professions. Sompo International will tailor their products and create combined packages that will meet the requirements of your business to give you comprehensive cover. Each of their insurance products are tailored to specific industries needs. Their casualty insurance products include employer’s and public liability. They provide specialist products for aerospace, energy, marine and financial institutions industries that are tailored to their risks and exposures. Some of the features and benefits of NIG’s business insurance. 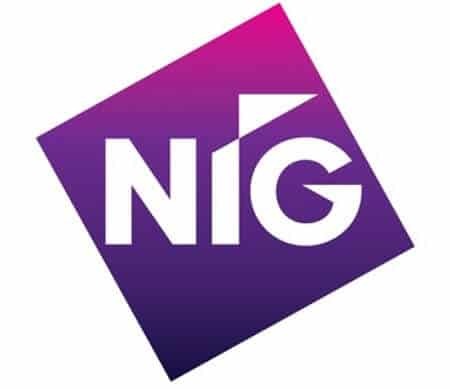 NIG offers a wide range of business insurance products created to meet the needs of specific industries and professions to give them a tailored package of comprehensive insurance cover. They provide combined packages to tradesmen, contractors, hotels and leisure manufacturers, retailers, wholesalers and the motor trade. NIG offers cover designed to protect property owners, commercial vehicles, mini fleet, offices, surgeries and shop as well as specific cover for cyber-attacks. They also provide specialist insurance designed for those that run a business from home. Their combined packages can include business interruption, public liability, product liability, employer’s liability, building and contents cover. Some of the features and benefits of Churchill’s business insurance. Churchill is a UK based insurance provider who provides two very specific business insurance products. The first is landlord insurance with cover for buildings, contents, loss of rental and boiler cover. The second is public liability insurance which is a flexible product that can be tailored so that additional cover options can be added to create a comprehensive insurance package. Churchill’s business insurance is designed for tradesmen or other self-employed professionals. It offers very specific additional cover for tradesmen including equipment, contracts work, own or hired plant cover. It can also include employer’s liability insurance and personal accident cover to give a fully comprehensive cover to protect the business. Some of the features and benefits of Vitality’s business insurance. Vitality offers business insurance products that centre around life and health. Their products can also be an attractive employee benefit that can help attract and retain staff. Their products also incentivise employees to improve their health which can also reduce your premiums. Vitality’s range of business insurance products includes key person cover which payout to the business if the key person dies or is critically ill. Their shareholder or partnership protection will help an owner/s to pay out another owner’s share if they die or are critically ill. They also provide relevant life cover which pays out to the employee’s family, loan protection and health insurance. Some of the features and benefits of Scottish Widows’ business insurance. Scottish Widows is an investment and savings provider that also offers insurance products to businesses. Their range of business insurance products are largely designed around life insurance and protecting businesses from the impact of losing an employee. They provide flexible solutions and a choice of cover that can be combined to provide greater cover. Scottish Widows’ business insurance includes key person insurance to help businesses to survive the loss of a key person; shareholder protection that helps surviving business owners to buy out the shares of an owner when they die or are critically ill; loan protection and relevant life cover that pays out to the employee’s family. Some of the features and benefits of UK General Insurance’s business insurance. UK General Insurance is an insurance underwriter that offers a range of business insurance products through a network of brokers. They provide flexible insurance products that cater for a wide variety of businesses and their needs. UK General Insurance offers property insurance covering buildings, rental properties and holiday lets; bespoke leisure and lifestyle insurance offering broad cover such as events and leisure equipment as well as liability insurance; personal accident insurance covering financial protection as standalone or add-on product; and income protection to cover financial commitments in event of not being able to pay for them. They also offer financial loss, motor financial, travel and warranty insurance. Some of the features and benefits of ARO Insurance’s business insurance. ARO Insurance provides business insurance that is designed to meet the needs of small businesses and property owners. They offer combined insurance that is tailored to the needs of different business types to provide comprehensive cover. ARO Insurance’s commercial products offer retail and office packages that combine property insurance and liability insurance along with other suitable cover. Their tradesmen insurance is suitable for small businesses and sole traders in manual and non-manual trades and professions. They also offer a broad range of property insurance including residential, multiple residential, blocks of flats, commercial properties and unoccupied property insurance. Some of the features and benefits of ARAG Insurance’s business insurance. ARAG Insurance offers a range of business insurance products that are designed to protect businesses from the legal expenses that can occur from challenges and claims. They provide cover for a range of business types and sizes with a choice of the level of cover that is available through brokers and intermediaries. 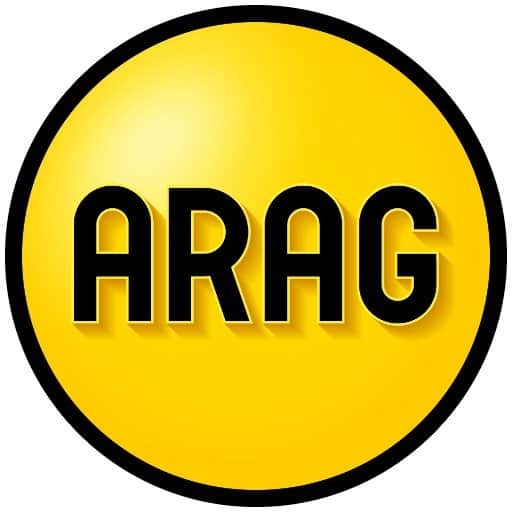 ARAG Insurance offers legal expenses cover that is designed in two levels that provides comprehensive cover for SMEs in all sectors including charities, and a commercial scheme which is a tailored product for groups of businesses. They also provide standalone cover for employment practices liability, commercial property owners, tax-free protection, business emergency solutions, and care providers. Some of the features and benefits of Glemham Insurance’s business insurance. 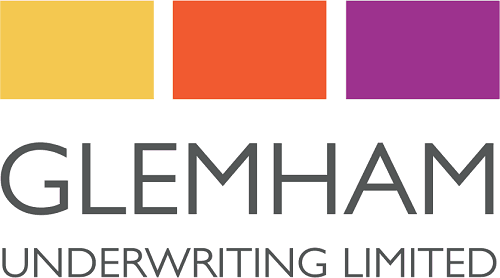 Glemham Insurance aims to provide a different type of business insurance as they insure businesses that demonstrate that they understand risk management and have controls in place, not business specific risks. They provide package insurance offering a range of cover and additional cover options. Glemham Insurance’s business insurance key cover includes property damage, general liabilities, business interruption, goods in transit, money, assault, commercial legal expenses, computers, business all risks, personal accident and loss of licence. They also provide optional cover for professional indemnity and excess layer liability insurance. Their insurance cover general starts at £5 million up to £20 million.